Eating gelato every chance we got! This past January, we took a trip to Italy that we've been planning forever...better late than never, right? Our intent was to set out on a tasting voyage to discover new flavors and techniques and bring them home to share with you. Bologna is a gem. It's a city of food and culture. It's small and very much geared toward the Bolognese people, not tourists. We ate the best Tagliatelle alla Bolognese in a restaurant cheap enough for students to frequent, followed by house made wine at a bar dating back to 1465. It was amazing! The gelato scene here is unbelievable. We tried varieties flavored with Zabaglione (whipped egg yolk custard and Marsala wine), Torrone (almond nougat candy) and Pulcinella (ricotta custard with orange zest and chocolate shavings) and our eyes rolled back in our heads. The flavors are simple and bold and we can't wait to start testing. 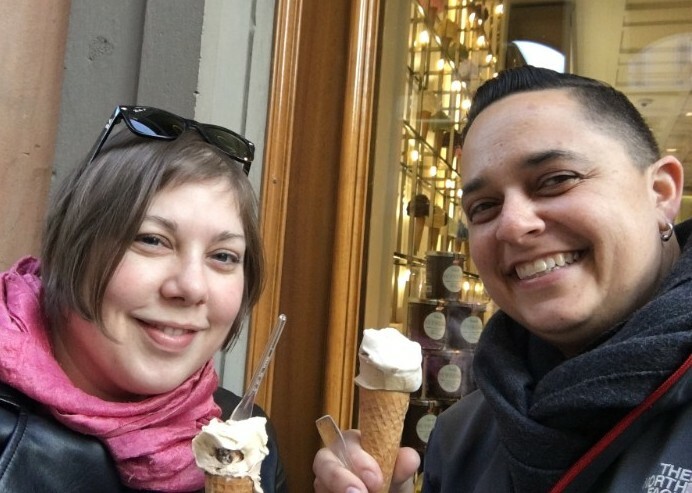 Rome was all about fat bowls of Caccio e Pepe, artichokes and creamy fig and ricotta gelato. It was bliss. After 15 days and 140 miles of walking (we tracked it) we arrived home inspired and ready to create new and exciting flavors for you. Look for these flavors and more in our 2018 lineup. Cross dessert off your party planning list! Leona's is here to help! Are you or someone you know getting married this year? Or maybe you're just planning a really awesome party? Let us take care of dessert for you and cross it off your long party planning list. Here's what you do: fill out this form on our website. We need at least two weeks lead time for events so that we can get logistics in line and make sure we have ice cream for all your guests. 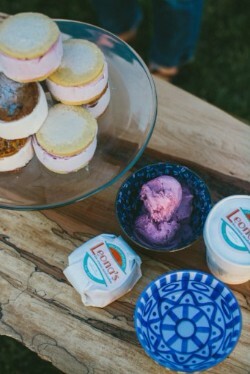 We know that each event is unique--location, freezer space, preferred flavors--so get in touch with us and we will work with you to get ice cream to your big day. Now that the dust has settled and we are on our way to a full freezer. We couldn't have done it without your help and support. You were all part of making a little bit of Kiva history! With your help, we had the fastest funded loan over $10K in Kiva history! Beyond receiving the funds we needed to quickly get back up and running, we witnessed our community helping us when we really needed it. It left us a little shocked and speechless. We thank you all from the bottom of our bowls. The first repayment is on it's way!